Do you know the difference between a page builder and a website builder? It’s subtle, but there is a distinction. And, in the best interests of your business goals, it’s one you should understand completely before making any decisions about building and maintaining your website. The ability to distinguish between website builders and page builders is the only way to know which one is best suited to your website strategy. Otherwise, you risk developing a site that can’t scale as your business grows. Or, just as bad, you could waste a ton of money on a website that’s far too complex for your current or future needs. It’s hard to make sense of all the terms being thrown around, and that might make your decision difficult. Aren’t page builders and website builders the same? How do they work? What’s the difference, and what are the advantages or disadvantages of each? Who knows what’s what? We do, and we’re here to clear the confusion between “page builder” and “website builder.” We’ll also break down why you might want to choose one of these tools for designing and maintaining your business website. First, let’s talk about content management systems like WordPress, Joomla, and Drupal. A content management system (CMS) is the software program used to create and manage your website. It contains your site’s digital content and publishes it to the internet. Since WordPress is the most popular CMS online today, powering over 31% of all websites, it’s the one we’ll discuss in this overview. WordPress (WP) is extremely powerful and flexible. It’s easy to learn but does take some study. You’re responsible for choosing a hosting environment. That’s the server where your website’s data is kept, and there are several options available. WordPress.org is what’s known as a self-hosted solution. That means that in addition to selecting your hosting environment, you’re also responsible for everything else needed to set up and support your website. That includes your domain name, theme, plugins, and services such as security plans and ongoing maintenance fees. Because of its limitless customization options and flexibility, self-hosted WP is more hands-on. It’s potentially a more expensive choice, though, as costs can add up quickly. It’s also the selection that affords you the most control over your website and digital assets. Managed WordPress options are available to provide much of the back-end development and maintenance of your site, for a higher fee. Managed WordPress hosting includes all the optimization, security, and maintenance your website needs. Managed plans are more expensive and limit some of your technical control, but the trade-off is that you get premium support and the security of having your website in expert hands. With WordPress.com, one of many managed plans available, you can set up a business website for $25 per month (billed annually), and upgrade to a self-hosted site as your needs change. Page builders are easy-to-use themes or plugins that work on top of a CMS to make visual, drag-and-drop page and post creation easy for any user, with or without knowledge of code (computer developing languages like HTML and CSS). These tools allow for automations, optimizations, and other enhancements that add functionality to the basic WordPress CMS. Even beginners can change things that are not included in their theme of choice, like adding multiple columns or content sliders, without knowing how to code. A website builder, such as Wix or Squarespace, is a drag-and-drop interface that allows for the complete building of a website. The CMS and hosting platform use proprietary software that cannot be easily reconfigured or managed by the user (that’s you, the business owner). Website builders are cloud-based SaaS (Software as a Service) platforms. You don’t have to download or install anything on your own computer or server, as you would with a CMS. One monthly fee includes everything you need to build and maintain your website. That means everything you would buy and/or download separately to get a WordPress website online is part of the package. A domain name, hosting, CMS, themes (called templates for website builders), functionality enhancements (instead of plugins), and/or services (security and management), are all bundled for you. Since 1.4% of websites use Squarespace and it has overtaken Wix as the most popular website builder, we’ll use Squarespace for this comparison. While creating websites from scratch is easily managed using a website builder, the end result — your business website — is fully controlled by the platform’s owner. In this case, that’s NOT you, the business owner. This can pose a challenge for entrepreneurs: Should you go with an easy solution like a website builder, leaving the maintenance and authority in someone else’s hands? Or would you be better off using a CMS like WordPress with a page builder system? Let’s break it down here. WordPress is sometimes thought of as more complicated as opposed to the website builders that do it all for you. You may find it beyond your area of interest or ability to set up and maintain a proper WP website. Running a business while handling website security, updates, optimizations and monitoring growth is often overwhelming. That’s why some people find their websites difficult to use. A CMS becomes complex very easily if you don’t understand what you’re doing on the back-end and why. But unless you opt to handle it yourself, a WP website will require that you get a separate contract to cover professional ongoing maintenance. It’s up to you to investigate the options and make the best choice for your business. Squarespace, like most SaaS providers, is an attractive alternative. You can have a beautiful website up and running in as little as 30 minutes using professionally designed templates. The platform does all the behind-the-scenes work for you, too. Get your domain name and hosting included for free in your payment plan of choice. Updates and security are also managed by your website builder’s team. But these perks come with drawbacks for website owners looking to have much more control over their greatest business asset. Some customizations are limited; functions and optimizations are regulated or restricted. If your business outgrows the platform’s offerings, you could end up with a site that no longer meets your needs. Because they are proprietary, you aren’t allowed to make certain changes to the look or functionality of your site. Although Squarespace is better than some website builders in providing you with information and statistics to analyze your site’s performance, you won’t be able to optimize for speed or search engines beyond the capabilities of the platform. There are specialists in every development environment that can take care of setup for you, and with website builders, you have the added value of built-in security and updates. If you’re not interested in what’s going on behind the scenes with your site, it’s likely that a website builder is for you. WordPress provides useful features that are unavailable on most website builders. If you enjoy tinkering with your website and can devote the time and effort to manage it properly, you’re probably a candidate for a CMS with page builder solution. Even if you decide to work with a website pro for setup and/or ongoing maintenance, you’ll still have primary oversight. Page builder or website builder? Which one is for you? WordPress is open-source software, so users are free to integrate their own solutions with plugins and code changes. There is no dedicated support system. If you’re running your own website and need help, troubleshooting is up to you. You’ll need to consult the user forums for similar problems and piece together your own remedy. Using WordPress with a page builder solves this problem neatly. Our choice is Divi by Elegant Themes, a completely visual page builder. They also offer a plugin that can be used with any theme. The developer supports all their products with 24/7 live chat, and tries to respond within 30 minutes. 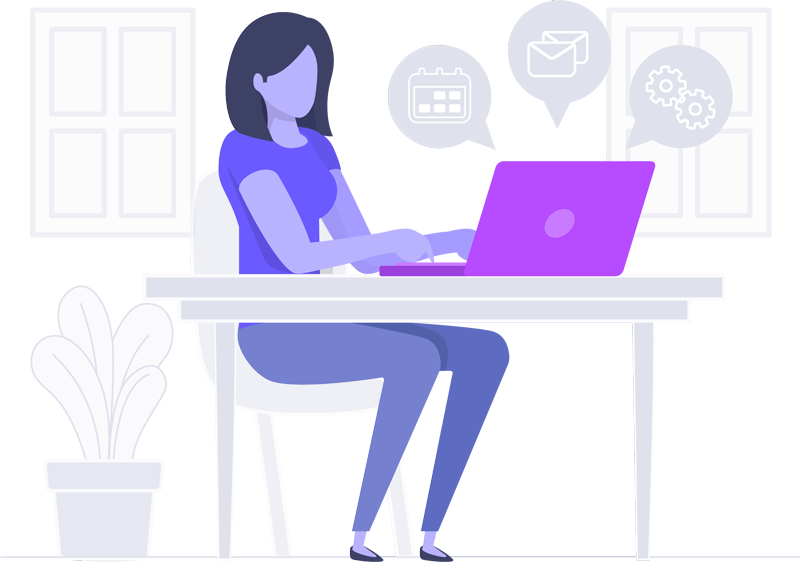 Squarespace, a proprietary platform whose inner workings are off limits to users, provides support via live chat during weekday hours and 24/7 email support within one hour. Both website builders and page builders used with a CMS can provide the right amount of service and support for you. It’s a matter of researching what each has to offer and determining how that matches up with your business needs. WordPress software is free, and basic website hosting is usually $3-10 monthly. Larger or more complicated sites can command as much as $40 per month. Purchasing a domain name, premium themes and plugins, plus additional optional services, can also drive up a WP site’s costs. Squarespace charges about $15 monthly for a basic website and can go up to $40 or more for added features and functionality. Although the website builders are proprietary and don’t require you to select and maintain your own hosting platform, they do offer a range of payment plans to fit a variety of needs. These platforms also accommodate e-commerce options. Depending upon your website strategy, you may find that one solution or the other is best for your budget and requirements. Determine your upcoming campaigns and growth plans when taking costs into account. And take advantage of less-costly resources as long as they’re available and practical. With WordPress, you’re completely in charge of and responsible for your site’s content and performance. It’s your intellectual property, so there’s no chance of confusion. Note that Squarespace controls all your content, along with the domain name and hosting platform. Should their hardware or software become compromised, you have no responsibility, but no recourse, either. Your domain and digital assets are under the authority of your website builder’s platform. Because the website builders must accommodate so many users, they have to maintain a high level of security on the development side of the sites they host. That means a lot less control for you, but it also frees you from the responsibilities of maintaining a self-hosted website. It’s your choice. It’s all-important to have a well-designed, user-friendly website these days. While many entrepreneurs still follow the traditional route and work with a developer to set up and maintain their sites, many more are opting to try their hand at using today’s popular website builders instead. Both website builders and page builders create sites suitable for entrepreneurs and small businesses. The differences in costs are negligible. You may have as much or as little hands-on activity as you wish with either choice. The final decision comes down to how much control you want to have over your most important business asset. I suggest you consider how much involvement you plan to have in your website’s daily management. Also, think about your needs as your business grows. If you don’t expect to sell a number of different products, for example, you probably won’t need the same power and functionality as an online retailer would. All in all, Squarespace is my recommendation for those who prefer a website builder. It does allow a certain degree of flexibility and content ownership. The platform offers a variety of professionally designed templates that create beautiful websites. And Squarespace is one website builder that allows you to change your template, or theme, whereas some others do not. They have an upgraded suite of SEO tools and integrate with Google Analytics, as well as providing real-time performance reporting. By offering unlimited bandwidth across all their payment plans, Squarespace has an edge over other website builders that are more restrictive. And Squarespace allows full export of your website to WordPress if or when your site outgrows their platform, an unrivaled feature. If your plans are to scale your business rather quickly, you may prefer to avoid the concern of eventually moving your online presence from a proprietary solution to a content management system that you control. In that case, start with WordPress using a page builder from the beginning. Although you may not wish to devote the time and energy website development and maintenance requires, you’re free to contract out much of the daily routine management so the behind-the-scenes aspects run just as smoothly as with a proprietary solution. You’ll be better off with WP and a page builder because it gives you more control of your digital assets and a greater degree of flexibility. As your business grows, you may find that a necessity. Choosing between a website builder and a page builder can be a challenging decision. It all comes down to your personal preferences and business needs. Both create attractive, functional websites; both are relatively easy to learn and use. Excellent customer support can be found with either solution. And although they use different pricing models, the overall costs work out to be about the same. Whichever you choose, make sure your website reflects your business in the best possible light.